In the heady days of 2005, as the real estate bubble was inflating in full force, James Robert “Bob” Ward was lifting helicopter rides to show off many of the 8 subdivisions in 5 states his company, Land Resources, Inc., was marketing worldwide. A short six years later Ward was in prison with a thirty year sentence for the murder of his wife. The bullet that ended her life wasn’t fired in the northern reaches of Lincoln County, Georgia but the lingering tears of tragedy still water the financial landscape of the less than 8000 permanent citizens of the county and hapless investing victims far away. The Orlando Sentinel reported that Land Resources was founded in 1997 and had successfully completed a number of subdivisions in Florida, North Carolina, Tennessee and Florida. Most providently HGTV picked Land Resource developments Cumberland Harbor and Grey Rock for two of its million-dollar home giveaways. Trouble arose from 2005, when Stillwater Coves in Lincoln County was announced, through 2008. A pattern emerged of unsophisticated, mostly rural county governments allowing Land Resources to market and sell lots before the basic infrastructure was completed to permit home-building. In 2008 Land Resources filed for bankruptcy protection. Suddenly lots that had sold for $300,000 were virtually worthless. Bob Ward began this saga in Atlanta. Near the height of selling hundreds of millions of dollars of hot resort real estate in 2007, Ward and his wife moved to the Islesworth community in Orlando, Florida, this being also home to golfer Tiger Woods and his beating from wife Elin. When Bob Ward became subject of a criminal investigation, his wife Diane was called to testify, apparently causing the developer to shoot her in their bedroom in September 2009. The murder trial, incarceration, conviction, appeal, retrial, and drug overdose in prison made a twisting, turning and very compelling tabloid story. An excellent timeline from the perspective of the Grey Rock development can be found here. Indeed it was. Ward’s Land Resources had sold out its Stillwater Cove lots in one week , garnering a reported $43 million(the author’s spreadsheet says $27 million) in the process. At the time of bankruptcy, the paving and grading of the roads had been completed, with water, sewer and fire protection systems only partially complete. Fortunately, the Lincoln County Board of Commissioners, under the direction of then Chairman Walker “Boss Hog” Norman, had insulated the county from all liability, obtaining performance and payment bonds on the crucial infrastructure before lots were allowed to be sold. Most of the development was financed by Wachovia Bank, a rogue financial institution whose sullied name can be found in Augusta’s Parking Deck and Convention Center fiascos, the 2008 financial decimation of Augusta’s blueblood society, money laundering nearly a half-billion dollars for the Mexican drug cartel, identity fraud against elderly customers, selling $9 billion of bad securities as money-good, and $millions on mortgage fraud. There is much more to be reported in these pages on this bank. Those are stories for another day. Elsewhere in county government, the tempting lure of the hundreds of millions of dollars in additions to the property tax base represented by the full build out of Stillwater Coves and the other lakefront subdivisions created in the boom was too great. Lincoln County needed a modern high school and that need had found a promising revenue stream. It was a case of chickens counted that were never to hatch. The Lincoln County Board of Education voted to build a $32 million new school complex to house junior high school and high school students. Financing for the project was to be $23 million. R.W. Allen LLC was engaged to construct the complex. More bad news erupted in 2009 when it was discovered that the bonds protecting the Stillwater Coves lot buyers had been issued in an even bigger fraud. An insurance man named Ray Miller had sold fictitious bonds covering more than $500 million in projects. The bonds covering one of the water systems at Stillwater Coves proved to be worthless. The county doesn’t seem to be at fault, however, for most of the bonds had been forged in the name of legitimate bond insurors. Perhaps the only mistake that the county made was to allow reduction, perhaps too early, in some of the coverage on the bonds that were good. Perhaps the discipline to achieve completion of infrastructure before any subdivision lots are sold is better. Tragedy would have been averted! The school board found itself in a fiasco when it decided to house only high school students in the new school, keeping the junior students at an old school. 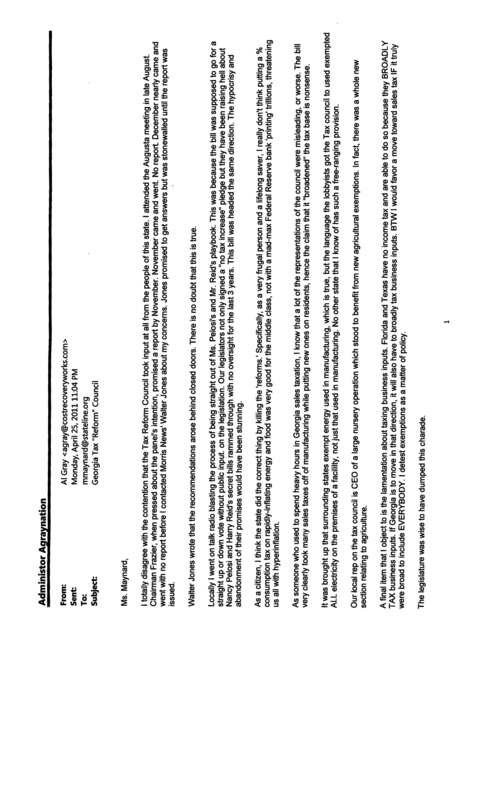 The State Board of Education withheld funds based upon the fact that the school it agreed to fund was for grades 6-12. Citizens cried FRAUD and for good reason. Many of the lot buyers lost their life savings in the meltdown of the Land Resources empire. Diane Ward lost her life. Lincoln County found itself financially crippled with extraordinarly high property taxes created by the school bond debt, a collapsed lake front property tax base, and the reality that three successive property tax exemptions involving timberland removed two thirds of the county from the tax digest. Existing residential property owners bore the brunt of the damage, with elderly property owners denied exemptions from school taxes afforded citizens of Columbia and Richmond Counties because their money was needed to service the bonds. The corrupt shell of Wachovia Bank continues to threaten the viability of Wells Fargo Bank, who had the misfortune of wanting the Federal Deposit Insurance Corporation (FDIC) to fold Wachovia into their operations. The lots themselves might not ever be viable, as they were drawn up to be served by a sewage system that languishes without paying customers. The waters remain still up on Graball Road but the tragedy continues. At least now it isn’t an untold tragedy in Augusta and the Central Savannah River Area of Georgia and South Carolina. Lessons are never learned from things covered up. Agraynation.com gets the big stories of our times and tries to make our readers think about what they mean. The JERK of Lincoln County? On Tuesday April 19th, 2016 the Lincoln County Republican Party held a candidate forum at the public Library. Your Arrowflinger was there and asked the candidates very tough questions. Former House District 117 Representative Lee Anderson, now running for the Senate District 24 seat, and his wife Donna were seated the next row in front. When Lee got up to speak my questions were pointed at his previous record of voting for double digit fee, rate, and tax increases on us. Donna turned and called me a “jerk” numerous times, although the only clearly audible one was at the end, when I loudly challenged Lee to take further questioning. Now, the point being made is that we go broke very fast paying double digit cost increases when our incomes are increasing less than 2%. Lee and Donna have a solution to this dilemma though. You see, Lee’s first cousin Superior Court Judge David Roper heads the guardian ad litem program in Augusta which became a national scandal because of the guardians’ ad looting. Now Donna is in that stable of ad lootems, supplementing their family income. We don’t have that option, do we? None of the other candidates or their parties reacted with anger at my tough questions, only the one person divorcing parents would expect to stay calm. Later radio talker Austin Rhodes quipped that the Andersons don’t need the money, but did the other Ad lootems who punished distraught parents with outrageous fees?? Usually the phrase “grab the wife and kids” is hyperbole in a political season, but can you families of the 24th risk having a rogue judge, rubber-stamp lawmaker, and angry guardian ad lootem wife all aligned against you in the event of divorce? Watch and listen, as Arrowflinger Al gets tagged with yet another insulting label to join many other such Badges of Honor. Anderson wasn’t in the Georgia House in 2012 when House Bill 386 passed containing all those costly new exemptions that real people are now having to make up. Included in the bill was a provision giving nearly every farmer in Georgia, even home gardeners, what is now known at the GATE (Georgia Agricultural Tax Exemption) card. It looks like this. Now when we used to visit Lee Anderson’s farm, each and every gate we passed through had to be closed and secured with a chain. So it used to be with Georgia Tax Exemptions. What transpired was a comical statewide tax looting publicized heavily in the Atlanta Media, municipal publications, and even county papers like the Lincoln Journal. Some farming fellows tried to use their GATE card on the casket and vault for their fathers funeral. Others bought $100,000’s of lumber for home building. The carnage continues today at nearly every rural store in Georgia. The tax losses exceeded 15% in many counties, causing property tax increases just like the 22% property tax Augustans got out of the same tax reform fiasco. 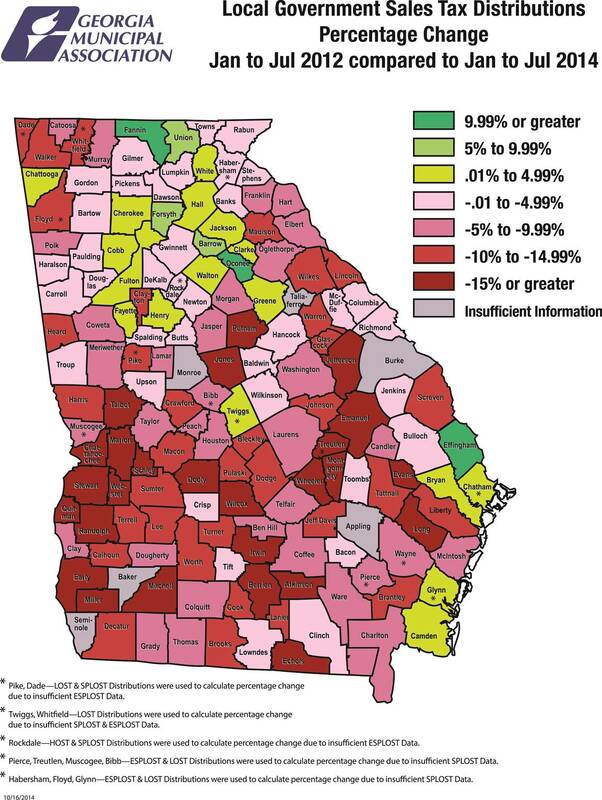 A Georgia Municipal Association map and chart depicted the damage statewide. Another term, this time with Lee in the Senate, will be a real riot if the escaped money cows don’t come home. Cow patties won’t fund education! When your humble flinger of arrows climbed into his pickup truck one afternoon in the late summer of 2010 it was not dreamed that the trip was worth $4 million to $5 million to the people of Augusta Richmond County, Georgia, yet it was. The Georgia General Assembly had empaneled a Tax Reform Council, chaired by former Atlanta Olympic Games chairman A.D. Frazier, and charged it with recommending a tax reform plan. Earlier, in 2008, the legislature had wisely rejected disgraced House Speaker Glenn Richardson’s G.R.E.A.T. (Georgia Repeal Every Ad valorem Tax) plan but still held the notion of “tax reform” dear, spurred on by the Georgia Traditional Manufacturers Association and others. Manufacturers wanted relief from Georgia’s sales-tax-exemption-limiting “Direct Use” requirements. Agricultural interests wanted sales tax relief, too. The Tax Reform Council met in cities across Georgia. The meeting in Augusta came within 3 weeks of a furious Republican Party runoff for governor, which diverted attention from what was at risk. The Council convened at the Doubletree Hotel on August 30, 2010. A number of presenters had prepared remarks which were posted on the Tax Council website. This writer had not come to speak but rose and gave an impromptu talk in opposition based upon the enormous revenue loss that appeared to be in the making, including a critique of surviving elements of G.R.E.A.T. A sitting member of the Georgia House of Representatives, Don Parsons, was not paying attention enough to catch the name and dismissed the talk as uninformed. The frightening thing was that the Tax Council withheld its report, despite promises it would be published in November, until the start of the 2011 session and the stated intent was for the plan to rocket through the General Assembly for a straight “up or down” vote. The Augusta presentations included one that tipped off how draconian the sales and use tax losses would be for Augusta. 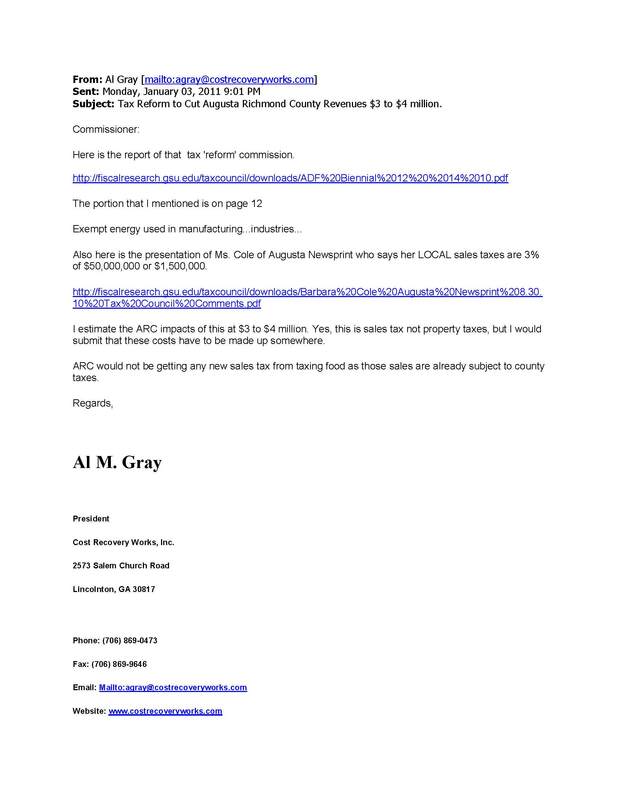 An email to a key member of the Augusta Commission warned of the losses. Another to an organization promoting the bad tax deal laid out the reasons that killing it in 2011 were good. The Augusta Chronicle reported “Twice panel members asked how to replace the revenue from new tax breaks such as elimination of the inventory tax. John Krueger, senior vice president of the Georgia Chamber of Commerce, replied that he hadn’t polled his members about that. The next year tax reform returned and passed. Not one of the location legislative delegation voted against it, not even “conservatives” Representative Barbara Sims or Senator Bill Jackson. Just as night follows day, the tax losses hit Augusta Richmond County so hard that in 2014, the Augusta Commission had to pass a 22% property tax increase to compensate for them. The Augusta Commission got the blame but the damage was clearly inflicted by the General Assembly, with the local delegation going right along with it. The sales taxes given up were were being passed on to purchasers of the manufactured goods outside of Augusta, Richmond County and now are being replaced by your property taxes, if you live in Augusta-Richmond County. The manufacturers were not likely to leave Augusta over taxes they had been paying for years and “tax reform” means that new businesses won’t be paying new taxes, either. Theories and subsidized jobs excited the politicians but this was a DEAD LOSS to the people, if one looks at the only thing that counts with revenue – CASH FLOW! The entire progression of events might not have turned to the public’s favor, but it was a wonderful chance to demonstrate how The AURELIUS PRINCIPLE works to identify millions of dollars of savings to clients who might just be interested in saving those millions rather than paying them out. Cost Recovery Works, Inc. has used these techniques to stunning effect for clients many times and the tax reform participation showed how they work to potentially effect tens of millions in savings. Millions of dollars in savings come from projects like this one – Just not for the poor, tax-besieged citizens of Augusta. The November 2014 race to fill Georgia House District 122 seat, vacated by retiring Representative Ben Harbin of Evans was the ugliest, most hotly contested election in the modern history of Columbia County. It saw 2 months of nonstop attacks by radio station talk show host Austin Rhodes on hapless candidate Joe Mullins conjoined with the collapse of the campaign of departing Columbia County District 3 commissioner Mack Taylor. Taylor’s efforts became mired in a nasty war with Mullins, complete with subterfuge, private investigators, and backdoor conniving with the radio talker. Columbia County, sick of the carnage, chose political newcomer Jodi Lott in the December runoff. Representative-elect Lott was probably giddy with excitement still when she was sworn in this January. Her refreshing enthusiasm, undiminished by the grinding reality check of public life, was apparent to everyone in the area. Her primary campaign issue, a “fairtax” (a sales tax) to replace the state income tax, seemed unstoppable in the Georgia House of Representatives, as leadership and the membership voiced support. Like the rest of us, Jodi Lott found the meaning of “lip service,” that when grizzled politicians like House leaders move their lips, you can count on it being in service to a lie. In this case her treasured tax relief met uncompromising doom at the hands of Governor Nathan Deal, who cited the danger that moving from an income tax to a sales tax would pose to Georgia’s burgeoning film industry, which heavily benefits from income tax credits. The House leadership beat a retreat, citing the futility of going against the governor’s wishes. That is the “official story.” Here is a much more accurate explanation. The reason that the citizenry of Georgia will never see their income taxes cut, or replaced by a sales tax, is that other income tax credits have been a back-door, almost totally-unaccounted for, stream of public funds to connected political donors from the Republican hierarchy in the legislative and executive branches. They give away income taxes that have to be made up by increased income taxes on us. No income tax means that the payola scheme dies. Our City Stink/Agraynation.com collaborative effort uncovered the scandal in 2012, during investigation into the details of the Magnolia Trace subsidized housing development uproar. After the public fury, this writer had traveled to the Georgia Department of Community Affairs (DCA) offices and spent an afternoon pouring over records of the Magnolia Trace income tax credit applications in the company of DCA attorney Phyllis Carr. The review did not uncover any smoking guns assignable to Columbia County Officials, but found a huge one wafting smoke toward the Georgia Republican Party and its senior officeholders in government. You see, the availability of income tax credits, especially the low income housing tax credit, had been around for years. Most of these credits expired unused. That was until Missouri based Affordable Equity Partners got measures through the Georgia legislature allowing the credits to be exchanged, marketed and sold to taxpayers who could use the tax credits. Affordable Equity and its sister Capital Health Management, Inc. funded a bevy of GOP-beneficent PACs and made direct contributions to nearly all of the important party office holders. To date, Governor Deal has received $10,000, House Speaker David Ralston has received $9,500, Lieutenant Governor Casey Cagle has received more than $17,000 from this stable of companies and related PACs. The GOP, its incumbents in the legislature and other supporting PACs have received another $240,000. Magnolia Trace affair was also a scandal in its approval process and the political donation largesse was a deciding factor for approval in this writer’s opinion. How widespread are these failures and malpractices by DCA and how much is it costing the people of Georgia? Representative Lott and tax reformers take note! To get tax reform for the people the path is directly through your leaders’ hefty campaign finances. Let’s see if the candidates now running for Senate 24 and House 123 seats on passing a “fairtax” have that much tenacity.